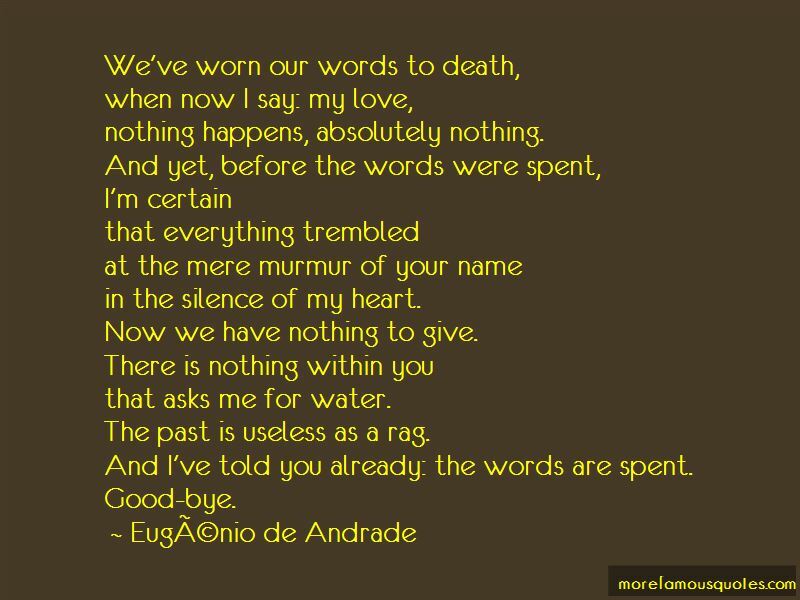 Enjoy the top 2 famous quotes, sayings and quotations by Eugenio De Andrade. in the silence of my heart. Now we have nothing to give. that asks me for water. The past is useless as a rag. And Ive told you already: the words are spent. And I've told you already: the words are spent. It's urgent- a boat upon the sea. and glistening mornings- it's urgent. Silence and an impure light fall upon our shoulders till they ache. Want to see more pictures of Eugenio De Andrade quotes? 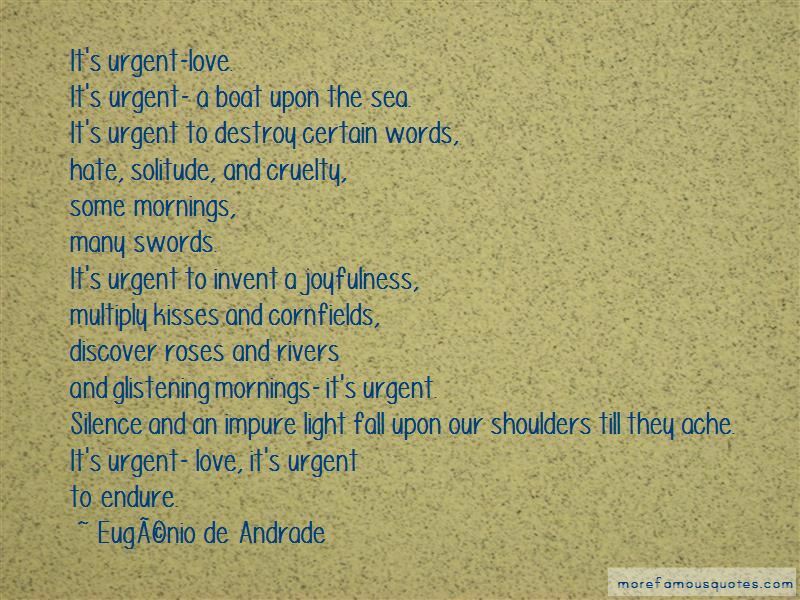 Click on image of Eugenio De Andrade quotes to view full size.